Strong Earnings – Last week, WYNN reported its results for the fourth quarter of 2015 as expected. However, the results of the quarter came in well ahead of expectations. During the quarter, analysts expected that the company would produce earnings in the amount of $0.29 per share. However, the company actually reported earnings in the amount of $1.03 per share, absolutely blowing away expectations. Steve Wynn Speaks About Macau – Aside from the positive earnings last week, Steve Wynn made a big statement on Friday. After the closing bell, Steve confirmed that Macau was off to a hot start for the Chinese New Year season. In fact, New Year celebrations in the region were up by 5% from last year. So it is expected that WYNN is going to see big gains. 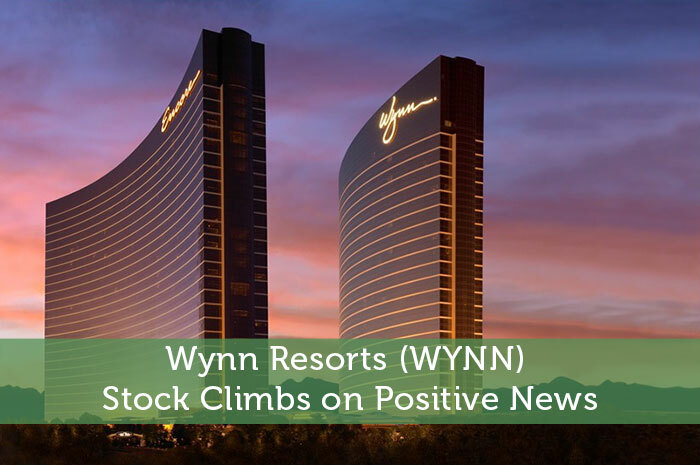 International Gaming Awards – Finally, today proved to be a big day for Wynn Resorts in both stock movement and recognition. Earlier today, WYNN was recognized as the “Casino Operator of the Year for the Americas” by the International Gaming Awards. According to the IGA, WYNN dominated the casino sector during the year and has vision, originality, and vitality. As investors, we know that the news moves the market. When there’s positive news released about a publicly traded company, we can expect to see positive movement in the market as a result. Adversely, negative news will cause negative movement. Over the past week, we’ve seen a slew of positive news surrounding WYNN and that news is starting to pay off in a big way. Currently (1:52), WYNN is trading at $75.62 per share after a gain of $6.48 per share or 9.37% thus far today. Moving forward, I’m expecting to see overwhelmingly positive movement out of WYNN. The reality is that when we talk about WYNN, we’re talking about the leader in the casino and gaming industry. The company has innovated new ways to drive revenue and continues to report positive news. One of the biggest drivers of my bullish opinion is the Macau District. This district has proven to be a primary cause for concern for WYNN investors as well as investors in other casino stocks. However, recent news shows that we’re seeing positivity in the region. All in all, things are pointing to growth for the stock and its investors! Where do you think WYNN is headed moving forward? Let us know your opinion in the comments below!